Firstly, may I thank Tom Goom for inviting me to write a short piece for his blog. 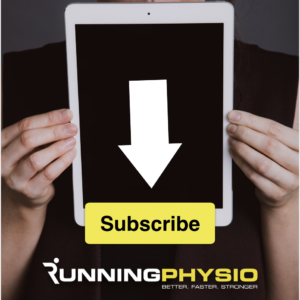 I frequently read the work written on the running blog as it provides a fascinating insight into the current best practises. Hopefully this piece on ice application can contribute in some way. Before I discuss the different modalities, it is important to mention the rationale for ice application. Within the sports medicine environment, cryotherapy (just another name for ice application really) is a widely used therapeutic modality for both the treatment of acute soft tissue injures, and during rehabilitation. The immediate application of ice aims to provide a cold induced analgesic effect, thereby reducing the appreciation of pain. The magical skin temperature frequently reported in the literature to produce local analgesia is between 10 and 15°C, and this is readily achievable with most ice modalities. Pain relief is the main reason you should be applying ice to a musculoskeletal injury, and there are numerous scientific papers that will support this. However, if we were playing family fortunes, and “we asked 100 people to name a reason to apply ice”, you can almost guarantee that ‘reduce swelling’ would earn you a star prize (probably a washing machine or cross trainer!). However, you may be surprised to learn that there is currently no research involving human subjects which supports this. So why not…? Studies have examined the effect of ice application on metabolism (which is what the ice needs to supress) in animal studies and identified the target tissue temperature to be between 5 and 10°C. At first you may think this is achievable, however, this temperature reduction needs to be reached at depth rather than at the surface. No study to date has achieved this at 2cm below the adipose tissue. So… what does this mean for the future of ice?! The answer to this all depends on the stage of injury. I currently work in semi-professional football so forgive me for these examples, but I think the three different scenarios help to explain the rationale and are applicable to any sport. Scenario One: Acute setting – Return to play. The athlete has received a trauma to the ankle/ foot complex but there is no significant structural damage. Here the aim of the ice application is to provide quick pain relief before the athlete returns to activity. The best modality to use is an ice bag containing crushed ice, as it has been shown to reduce temperatures to critical levels required for analgesia within 5 minutes (Jutte, Merrick, Ingersoll & Edwards, 2001; Merrick, Jutte & Smith, 2003). You should consider the use of wet-ice application, where ice is applied through a fabric bag; this porous material provides a barrier to stop potential ice burn, whilst the residual water is in contact with the skin. As cryotherapy modalities absorb heat through conduction and evaporation, wet ice exhibits greater thermal conduction than that of its dry ice counterpart (Belitsky, Odam & Hubley-Kozey, 1987; Merrick et al., 2003). As I am not just a researcher but a practicing sports therapist, I appreciate the need for the recommendations to be practical. I therefore use a mixture of crushed ice and water mix in a plastic bag and apply pitch-side, as wet ice applications can be messy and impractical. However, during half time, many players will receive crushed ice enveloped in a thin wet cotton cloth to their ankles for fast pain relief following contusions and heavy tackles. Scenario Two: Acute setting – Remove from play. The athlete has received a significant trauma to the ankle and there is significant structural damage and must cease activity. Here the ice application aims to provide pain relief, but more importantly, compression needs to be applied. In an effort to reduce the oedema from building up, the compression with shut down the available space for the fluid to accumulate. As a result, wet ice application is no use here as the compression will not be consistent as the water escapes the porous bag. Instead, the dry ice method of crushed ice should be applied in a plastic bag and attached with a compression bandage. The ice is not the most important criteria here, it is the compression. Apply the ice for 10 minutes on, and then remove for 10 minutes. In the rest period, reapply the compression bandage. After the 10 minutes rest, reapply the ice application. Continue this cycle of 10 on, 10 off, 10 on for as long as possible. Once finished icing and before you return home, place the compression wrap back on the area. The rationale for 10 minutes on, 10 minutes off, not only allows the skin a rest period from constant cold, but more importantly, the modalities ability to absorb heat is at its maximal for at least 10 minutes, before the modality temperature may begin to rise. Additionally, a thermal gradient is created between the skin and the intramuscular tissues, which allows cold to be reached at depth. When the ice is reapplied for a second 10 minutes, the tissue temperature at depth has not risen to pre-treatment levels and therefore can reach a lower temperature still. So, rather than the traditionally 20 minutes continuous, where the modality may start to warm after 15 minutes, here you still receive a combined total of 20 minutes ice application, but the tissueis maintained at a lower temperature for over 30 minutes. You may not be aware, but the use of cryotherapy during rehabilitation can potentially promote your recovery by using cryokinetic protocols (cryokinetics simply means cold and motion). In the instance of an ankle sprain, the athlete immerses their foot into an ice and water mix (1-4°C) until their foot becomes numb. The typical sensations you can expect to feel are burning, stinging and aching before a period of analgesia occurs after approximately 10 to 20 minutes of immersion. After this, the athlete begins to perform their rehabilitation exercises, so in the early stages simple non-weight bearing range of motion work. Continue to perform the exercises until the period of analgesia is diminished (typically 5 minutes), before immersing your foot again to achieve another period of analgesia. As you progress through the rehabilitation stages, right up to return to activity, you can still use the cryokinetic protocols. So why are we doing this…? The ability of cryotherapy to provide an analgesic effect enables exercises to be performed earlier than would normally be possible (Bleakley, McDonough & MacAuley, 2004; Knight, Buckner, Stoneman & Rubley, 2000). The beauty of cryokinetics is that it allows the muscles to contract, and therefore they will actively pump the swelling out of the area via the lymphatic drainage system. So by applying the ice application, you can perform simple range of motion exercises early than normally would be possible, and thus reducing swelling quicker. You may have read the recent work by Bleakley, Glasgow and MacAuley (2012) who recommends calling the POLICE, where optimal loading is required. If you haven’t read this article I would recommend it, as cryokinetics allows for this optimal loading to occur sooner. Some of you may be concerned that by performing exercises under a period of analgesia you will not be able to appreciate pain, and therefore will not know if you are causing any further damage to the tissue as a result of the exercise being too advanced for your stage of rehabilitation. This is not the case, as the ice application does not remove the pain-sensing mechanisms, but rather removes residual pain such as that caused by pressure from swelling on nerves and damaged tissue. (Hayden, 1964; Knight et al, 2000; Pincivero, Gieck & Saliba, 1993). So, if you do perform an exercise that is too advanced that will cause further damage, you WILL still perceive this pain and should therefore regress the exercise. Ice immersion should be the chosen modality here rather than wet ice bag application as it provides a longer period of analgesia. We are not concerned with how fast it takes to cause pain relief, but rather how longit lasts. The longer the period of analgesia, the larger the window of opportunity to perform exercises. Cryokinetics is not only effective with joint injuries but also muscle strains. I have found it to be particularly useful in the treatment of lateral ankle sprains. Pincivero et al. (1993) presented a case study and conclude that cryokinetic protocol hastened the return to activity. When I took up my current position, I was given a box of cold spray. I must say, it has come in very useful… I use it as pest control to kill the flies and gnats in my therapy room! I personally see no use for the spray in the field of sports medicine. Often you see therapists run on pitch side and administer the cold spray or vapocoolant. Yes, it may act as a counterirritant, but you have to question the accuracy of application. Often the spray is administered over socks and better still most of it may fly away on a windy day! You are far better applying a crushed ice and water mix. What about instant cold packs? Commercially available gel packs have a pre-application temperature of -14°C and therefore remain prevalent in sports clubs, with first aiders believing colder is best. However, a modalities capacity to absorb heat is far greater if required to overcome latent heat of fusion (turn from a solid to a liquid) which is not required in the already liquid gel pack. To put this to the test, when I teach undergraduate students thermal treatments, at the start of the lecture we play pass the parcel. I pass around a bag containing a crushed ice and water mix, and an instant ice pack. No sweets here I’m afraid just the gift of cold hands! This will pass 40 pairs of hands in approximately 10 minutes. When it reaches back to me we repeat it again. During the second round, the crushed ice and water mix is still as cold as it was at the beginning, yet the instant cool pack is room temperature (if not warmer after passing 80 pairs of hands). The evidence also conclusively shows that regardless of application duration, ice based modalities are superior to gel packs at reducing skin temperature (Chesterton et al., 2002; Kanlayanaphotporn & Janwantanakul, 2005; Kennet et al., 2007). Athletes with a fear or intolerance to ice including Raynaud’s disease and cryoglobulinemia should not be administered cryotherapy. The risk of frost bite is very rare and can be reduced by application periods of less than 40mins (Knight, 1995). A barrier is advisable, such as crushed ice placed in a plastic or fabric bag. Cryogen gel packs should always be avoided as there are superior modalities to achieve the desired effects. Bleakley and Hopkins (2010) identified no cases of skin burns in their review of over 35 laboratory basedcryotherapy studies. Belitsky, R. B., Odam, S. J. & Hubley-Kozey, C. (1987). Evaluation of the effectiveness of wet ice, dry ice, and cryogen packs in reducing skin temperature. Physical Therapy, 67(7), 1080-1084. Bleakley, C. M., McDonough, S. M. & MacAuley, D. C. (2004). Cryotherapy for acute ankle sprains: a randomised controlled study of two different icing protocols. British Journal of Sports Medicine, 40, 700-705. Bleakley, C. M. & Hopkins, J. T. (2010). Is it possible to achieve optimal levels of tissue cooling incryotherapy? Physical Therapy Reviews, 15(4), 344-350. Bleakley, C.M., Glasgow, P. & MacAuley, D. C. (2012). PRICE needs updating, should we call the POLICE? British Journal of Sports Medicine, 46(4), 220-221. Chesterton, L. S., Foster, N. E. & Ross, L. (2002). Skin temperature response to cryotherapy. Archives of Physical Medicine and Rehabilitation, 83(4), 543-549. Hayden, C. (1964). Cryokinetics in an early treatment program. Journal of American Physical Therapy Association, 44(11), 990-993. Jutte, L. S., Merrick, M. A., Ingersoll, C. D. & Edwards, J. E. (2001). The relationship between intramuscular temperature, skin temperature, and adipose thickness during cryotherapy and rewarming. Archives of Physical Medicine and Rehabilitation, 82(6), 845-850. Kanlayanaphotporn, R. & Janwantanakul, P. (2005). Comparison of skin surface temperature during the application of various cryotherapy modalities. Archives of Physical Medicine and Rehabilitation, 86(7), 1411-1415. Kennet, J., Hardaker, N., Hobbs, S. & Selfe, J. (2007). Cooling efficiency of 4 common cryotherapeutic agents. Journal of Athletic Training, 42(3), 343-348. Knight, K. L., Brucker, J. B., Stoneman, P. D. & Rubley, M. D. (2000). Muscle injury management with cryotherapy. Athletic Therapy Today, 5(4), 26-30. Knight, K. (1995). Cryotherapy in Sports Injury Management. Champaign, IL: Human Kinetics. Merrick, M. A., Jutte, L. S. & Smith, M. E. (2003). Cold modalities with different thermodynamic properties produce different surface and intramuscular temperatures. Journal of Athletic Training, 38(1), 28-33. Pincivero, D., Gieck, J. & Saliba, E. (1993).Rehabilitation of the lateral ankle sprain with cryokinetics and functional progressive exercise. Journal of Sports Rehabilitation, 2, 200-207. Thanks for your questions, you raise some interesting points (I may need to write another blog!). As soon as you apply ice to the skin the cold stimulates the cold and pain receptors, but in order to achieve the period of analgesia you have to go through the period of ‘burning’, ‘stinging’ and ‘aching’ sensations. So yes, you could argue the sensitivity is heightened but this is of the receptors, not the nerves. After a few minutes, progressive cooling of the nerve fibres slow the conduction of the neural impulses, and soon the painful sensation is diminished as the impulses cannot be transmitted from the periphery to the sensory cortex (Denegar, 2000). In the instance of the first scenario where the athlete returns to activity, the ice acts more as a counterirritant, whereby using the stimulation of the pain receptor to counteract the pain from a contusion. In the second and third scenario, the athlete must try to withstand the sensations to reach the period of analgesia. The most painful application is the immersion technique used for cryokinetics. When I teach this in groups the adherence is typically less, with some students unable to last the 15-20 minutes immersion. However, when I am conducting research or working with an athlete in a one-to-one setting, I have always had excellent adherence. It is important to educate the athlete of the pain sensations they are to expect and detail that they are only temporary. Additionally if the athlete starts to think about the cold they may be discouraged, so I would recommend continually talking to them about any topic other than the ice to distract their mind. The first experience of cryokinetics is always the worst, but after a few sessions they will soon become accustomed. I think you are probably referring to the Hunting response, and I would disagree that the sensitivity is increased due to it. The Hunting response you mention is a phenomenon whereby in cases of continuous cold application to the periphery, in an effort to protect the joint, a short period of blood vessel vasodilation will occur. Some therapists previously were lead to incorrectly believe that dilation meant an increase in blood flow to the area, and therefore were concerned to apply ice for extended periods of time as it would negate the effects of ice. However, consider the following example: ice causes a vessel to constrict to 20% of its original size, and then it dilates to 25% of its original size. Here the vessel has dilated, but the blood flow through the vessel is still only at 25% of its usual amount. As far as “useless icing for a period longer than this”, this has possibly stemmed from reading the new literature supporting the fact ice application has yet to be shown to reduce metabolism in humans, and rightly so. The old school of thought as mentioned, was that ice reduced swelling, but the work by Bleakley has identified this currently is yet to be seen. Therefore, regardless of the length of application we currently don’t know if it actually reduces metabolism, and this may be why you have been advised extended periods are not warranted. This is why therapists now argue that compression is far more important in the immediate management such as scenario two. For an ankle sprain, I know some therapists who now apply a horseshoe shaped foam pad around the lateral malleolus (ankle) and compression wrap without the ice. This is understandable, although I apply the ice and compression at the same time, because even if we can reduce the tissue by 1°C I believe it is advantageous. Additionally, the literature strongly supports the fact that as length of application continues, the tissue depth at intramuscular level continues to decline. After periods of 20 minutes it may begin to plateau as the modality has reached its capacity for heat. This is why the 10 on, 10 off, 10 on is recommended. Also, you need periods of 10-15 minutes application in order to perform cryokinetics. Cryokinetics is a protocol which has been used in the USA for many years, dating back to the 1960’s. However, when I first mentioned the term to my supervisor he was unfamiliar with it. In fact, the majority of therapists I have spoken to have never heard of it. This may be a rationale for why you were told lengthy application periods have no place. I hope that has answered some of your questions and hopefully has provided some more information and clarity regarding ice application. Thanks for the great article! Good timing too as I just sat down to put my foot in a bucket of ice after my run this morning. Working on healing it up after an ankle sprain just after Christmas. Thanks for the update! Very useful clarification! Some useful information Peter and thanks for taking the time to respond to the additional questions too. As a runner cold immersion is a regularly used technique post-run, usually with the aim of reducing the impact of muscle damage from the impact of running and to help with recovery prior to the next training session. As this use of cold immersion differs in purpose from the ‘ankle sprain’ example you use above, what are your thoughts on how/why cold immersion should be used as a daily recovery tool for distance runners? Hi some great info above. Can I ask for your views on ice application in an acute sport setting and its affect on Joint position sense, proprioception and the possibility making an athlete susceptible to injury as a result, not to mention decreasing performance. First of all, it is important to remember that an ice bath is no substitute for ice application. If there is an acute injury present then ice application should be applied with compression as detailed in the original article above. However, when there is an absence of acute injury, sports professionals and recreational athletes frequently implement ice baths in an effort to aid recovery. However, much of the popularity of ice baths for recovery comes from anecdotal evidence (Wilcock, Cronin & Hing, 2006). The results from controlled laboratory experiments remains equivocal, with no consensus on an optimum treatment protocol (Bleakley & Davison, 2010; Cochrane, 2004). As excellently outlined by Wilcock et al., (2006), when the body is immersed in water the compressive force from the water on the body is termed hydrostatic pressure and this causes an inward an upward displacement of body fluid. This hydrostatic pressure during immersion increases the diffusion and reabsorption rates within the capillaries, with the increased pressure gradient resulting in a fluid shift from between the cells to within the blood vessels. This results in a rise of the central blood volume during immersion. Effectively this shift in fluid may increase the osmotic gradients and some waste products may leave the cells and tissue space to maintain equilibrium. Furthermore, with an increase in blood volume, there is also an increase in stroke volume and therefore cardiac output, which leads to an enhanced blood flow throughout the body. This improved diffusion gradient and increased blood flow may assist the athlete to metabolise waste products and enhance the recovery time due to the reduction in transport time. These physiological changes are the result of hydrostatic pressure with no reference to water temperature. When the accustomed athlete is immersed in cold water, the heart rate decreases and there is a reduction in the cardiac output. Furthermore there is a reduction in the permeability of the cellular, lymphatic and capillary vessels due to vasoconstriction (contract) and therefore with a reduction in diffusion, the exchange of fluid is slowed. This reduction therefore counteracts the beneficial effects caused by the hydrostatic pressure. Consequently, it can be questioned if cold water is advisable, of if thermoneutral (35°C) water would be more suitable. Furthermore, it is important to remember that in the athlete that is unaccustomed with sudden entry into cold water, often there is a cold shock response, consisting of an inspiratory gasp, tachycardia, and hyperventilation, which can quickly lead to unconsciousness (Lloyd, 1994; Tipton, 1989). In the review article by Wilcock et al. (2006), they refer to cold water immersion or ice baths at temperatures less than 15°C. Personally, I use water with a temperature of 30°C (same as a swimming pool) to limit the cold shock response and to provide the benefits of hydrostatic pressure. It is important to note that the effect of hydrostatic pressure is increased with increased depth. Therefore, ice baths should be in wheelie bins or other specialist ice baths where the athlete is standing to maximise the pressure rather than laying own in a traditional bath. Interestingly, a recent article was sent to me on Twitter by @PTPatsy (worth a follow, great physiotherapist with excellent knowledge and a critical mind) http://www.ncbi.nlm.nih.gov/m/pubmed/23873339/ which outlines that ice immersion may not enhance the recovery process following a bout of exercise. The results identified 20 minutes of ice immersion (5°C cold water immersion to the top of the thigh) was no different to just resting, on thigh circumference, maximal voluntary contraction, perception of soreness, and some biological markers at intervals over a 72 hour period following exercise. This may support the rationale that ice should not be our primary concern for recovery. This study only immersed up to the thigh, whereas to fully gain the effect of hydrostatic pressure, I would advocate the use of immersion to the clavicles. I would NOT recommend ICE immersion to the clavicles due to cold shock response and the negative effects ice immersion may have, but rather, recommend immersion up to the clavicles in thermoneutral water (30°C swimming pool temperature) to receive the benefit of the hydrostatic pressure. This is just me theorising based on hydrostatic pressure as I have not conducted any studies within this area myself. Finally, the evidence is equivocal and there are published articles that support the use of ice immersion and others that don’t. Also, there may be a psychological aspect involved, and if you are accustomed to ice bath immersions then it may be difficult to change practice. The results from the study mentioned do not outline ice immersion to be of detriment, but rather ice immersion may be of no benefit. Until there is conclusive evidence that ice immersion is of detriment to recovery, then the practice will most certainly continue. If you do continue to implement ice immersion with new athletes, it may be wise to implement habituation sessions, where water temperature is gradually lowered over sessions to limit cold shock. A final word… I personally believe in the effect of hydrostatic pressure, and it would be interesting to see the effect of scuba diving following an exercise bout. This may sound mad, but diving in the Red Sea after exercise may provide the greatest hydrostatic pressure available. With a high salt content this will only add to the pressure and may be the ultimate recovery method! I was wandering if I can ask for your approval to translate the article in to Hebrew and published it in my web site.